Australia's only wholesale supplier for certified genuine loose Baltic amber beads, semi precious gemstones, matching pop and screw clasps, and more. Individual gemstone beads: Natutal Amethyst These measure aproximately 6mm x 3mm Price is per b.. Individual gemstone beads: Natutal Rose Quartz These measure aproximately 6mm x 3mm Price is pe..
Wholesale Hazelwood bead supplies for making necklaces, anklets, bracelets, and other craft projects.. 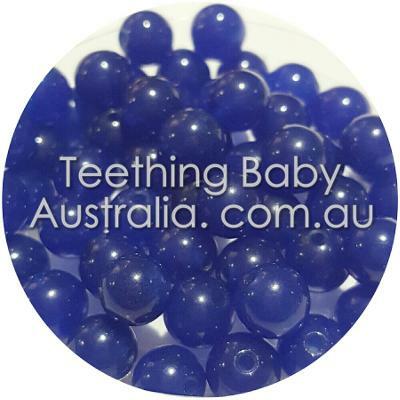 Individual Hazlewood beads These measure aproximately 10mmx6mm Price is per bead Australia's only .. Individual gemstone beads: Dark amethyst These measure aproximately 4mm Price is per bead Australi.. Individual gemstone beads: Yellow topaz These measure aproximately 4mm Price is per bead Australia.. Individual gemstone beads: Natural Amethyst These measure aproximately 6mm Price is per bead Amethy.. Individual gemstone beads: Jade dyed These measure aproximately 6mm Price is per bead, mixed colours.. Individual gemstone beads: lapis lazuli These measure aproximately 6mm Price is per bead Aust.. Individual gemstone beads: natural quartz dyed These measure aproximately 6mm Price is per bead.. Individual gemstone beads: Natutal blue jade dyed These measure aproximately 6mm Price is .. Individual gemstone beads: Natutal Howlite dyed These measure aproximately 6mm Price is per bea.. Individual gemstone beads: Natutal lolite These measure aproximately 6mm Price is per bead Au.. Individual gemstone beads: Natutal Rose Quartz These measure aproximately 6mm Price is per bead.. Individual gemstone beads: Natutal Red jade dyed These measure aproximately 6mm Price is per be.. Individual amber beads: Polished glossy premium bud sized pieces of amber in an ombre mix of: c.. Individual amber beads: Polished glossy premium bud sized pieces of amber in an ombre mix of: l.. Individual amber beads: Raw glossy premium bud sized pieces of amber in an ombre mix of: cherry..
Safety pop clasps, for use with Baltic amber, gemstone + hazlewood bead jewellery. Sold individually..
Supplies for making Baltic amber jewellery. Safety Screw clasps, for use with Baltic amber, .. Individual gemstone beads:fluorite These measure aproximately 8x12mm Price is per beads, colours are.. Individual amber beads: Polished dark cherry, round / flat shaped genuine baltic amber pieces T.. Individual amber beads: Polished glossy lemon baroque shaped genuine baltic amber pieces These measu..
Ombre MIX pack amber beads: Polished dark cherry, Honey, Golden honey, butter mix, round / flat.. Silk beading thread, for use with Baltic amber, gemstone + hazlewood bead jewellery. Sold per meter.. Silk beading thread, for use with Baltic amber, gemstone + hazlewood bead jewellery. Sold per meter ..